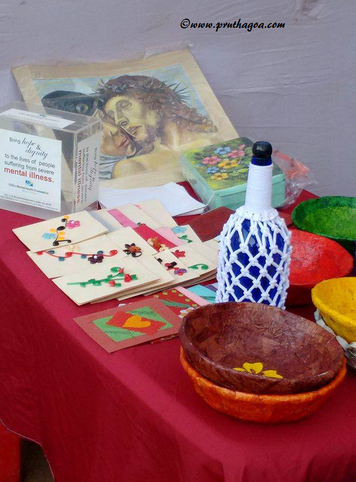 In commemoration of ten years of the establishment of the COOJ Mental Health Foundation at Vasco, a celebratory fair was held at the Vasco Municipal Garden. 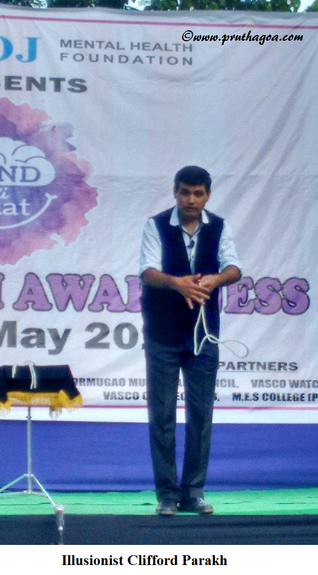 The mental health awareness fair, Mind ki Baat, was a two day affair filled with programmes to entertain and inform the public. 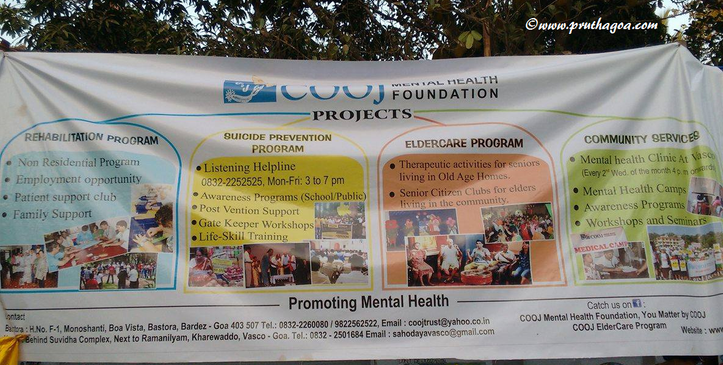 COOJ, or Cause of Our Joy, does much in Goa to help individuals suffering from mental illnesses and disabilities by enabling them to live a more fruitful life. For those who are still in the transitional phase to being able to support themselves with a job, COOJ has the Sheltered Workshop which allows clients to earn a living for themselves. Carers’ Hope is a support group for the caregivers of people suffering from mental illness. COOJ, perhaps more importantly, runs the suicide helpline You Matter, and has had numerous suicide prevention programmes to raise awareness and reach out to people with suicidal tendencies. The suicide helpline number is 0832-2252525. 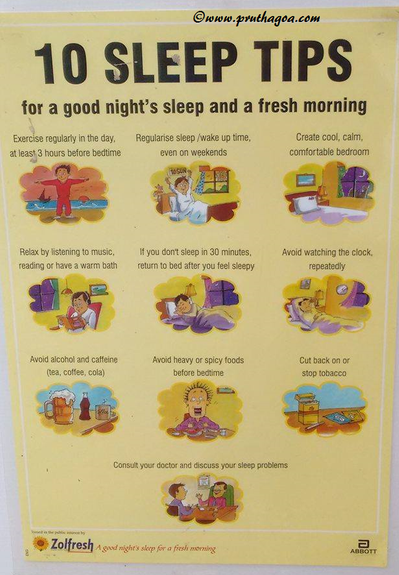 Timings are from 3.00 pm to 7.00 pm, Monday to Friday. The foundation also has the Continued Education Programme for people whose education was disrupted due to the onset of mental illness. Besides these, there other initiatives taken up by COOJ to destigmatise mental illness and allow individuals to avail of facilities that will stabilise their lives. 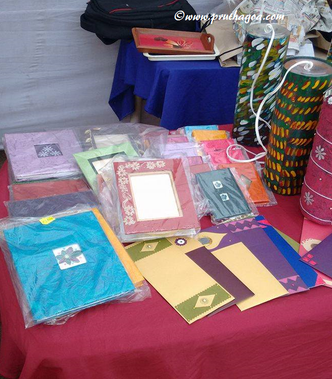 The fair boasted stalls that had paper bags, cards, folders, decorative bottles and lampshades, hand painted boxes, and exquisite paintings by people who have been rehabilitated through COOJ’s treatment programmes that are structured according to the needs of each client. 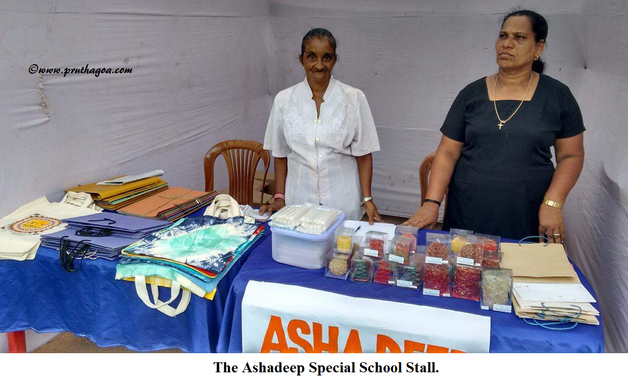 Ashadeep, the school for differently abled children, had its own stall with bags, files, and attractive candles made by the students. There was Psycho-gymnastics, which included mental agility games for people, and a jumble sale by the Lions Leo Club, Vasco. 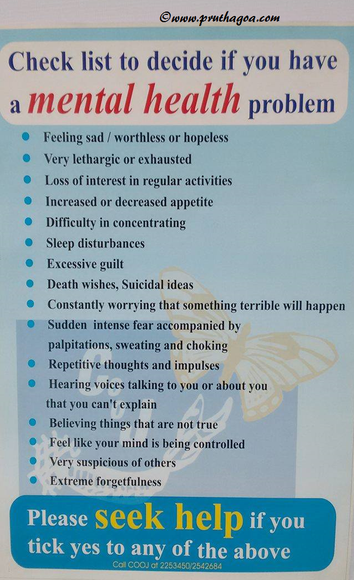 An exhibition with posters and charts pointing out the symptoms of various disorders and mental illnesses was set up for the perusal of the public. 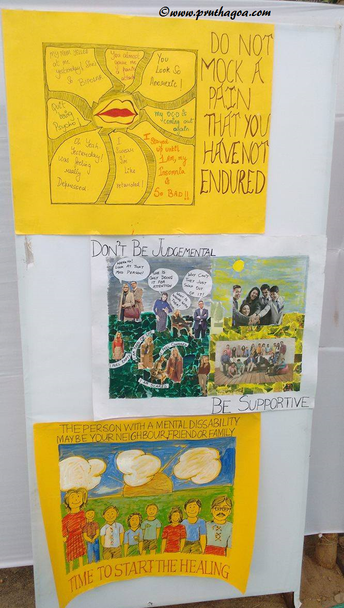 Documentaries, talks, short films, presentations, and a drama by the students of the Kala Academy School of Drama, all connected with the theme of mental illness. For lighter entertainment, there was music, a magic show by illusionist Clifford Parakh and Bollywood dancing for children. There was a painting competition for children on the topics of ‘Happy Home’ (ages 5-8) and ‘Caring for People with Mental Illness’ (ages 9-13) to motivate them to think more deeply about the concerns related to the topics. Janani Narayanan lead a wonderfully exhilarating storytelling session about Mooshik, the rat who decided to become king and thought he could eat his way towards it. 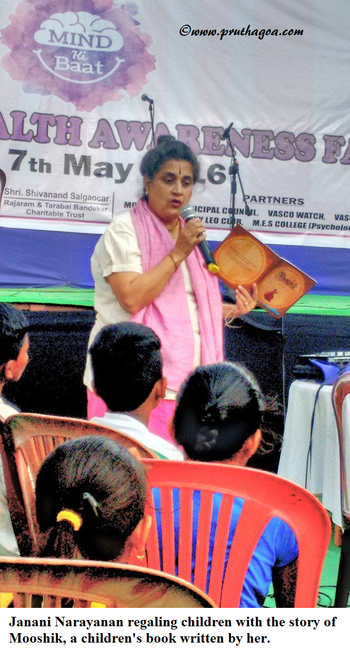 The children, along with their parents, were entertained by this tale that has undertones of self-esteem issues and gives the message of self-acceptance. 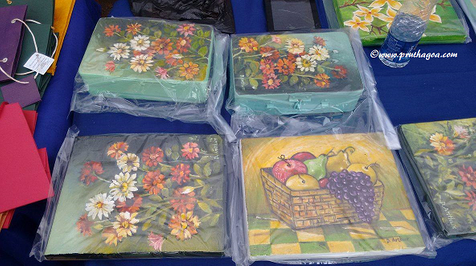 The two day fair was a great success as it pulled in the crowds that need to be sensitised to the occurrence of mental problems and disabilities arising from them. 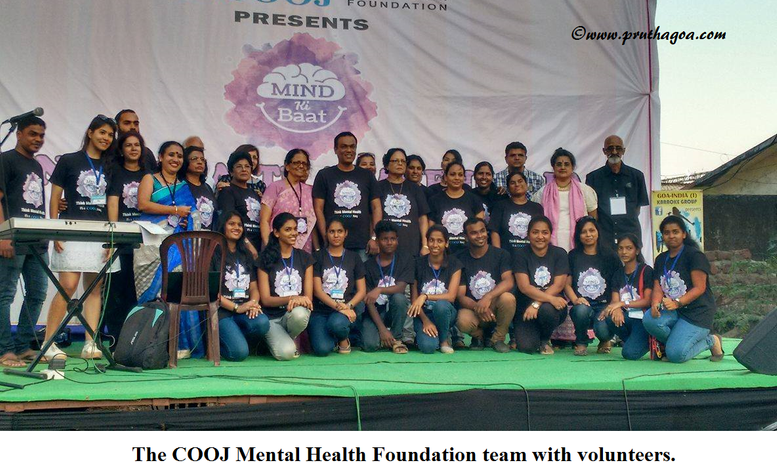 Despite the long journey ahead in altering societal mind-set, COOJ has certainly gained much ground in transforming the approach towards mental health in Goan society.